La Habra, CA, United States, August 30, 2016, Roxanne Contreras, Principal Advisor at Southern California Edison, has been recognized by Elite Women Worldwide, for dedication, achievement and leadership in business management. As a business professional with more than 20 years of experience, Ms. Contreras remains dedicated to providing high-quality service in her position. She has been in this role for five years and has worked for the company for more than 12 years, joining in 2004 as a project manager. In her current role, she parlays her experience to supervise 10 direct reports with oversight of up to 30 depending programs. Charged with monitoring, developing and reporting on strategic initiatives, goals and metrics, her work is important to the company. 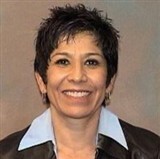 In addition, Ms. Contreras develops and implements security programs. 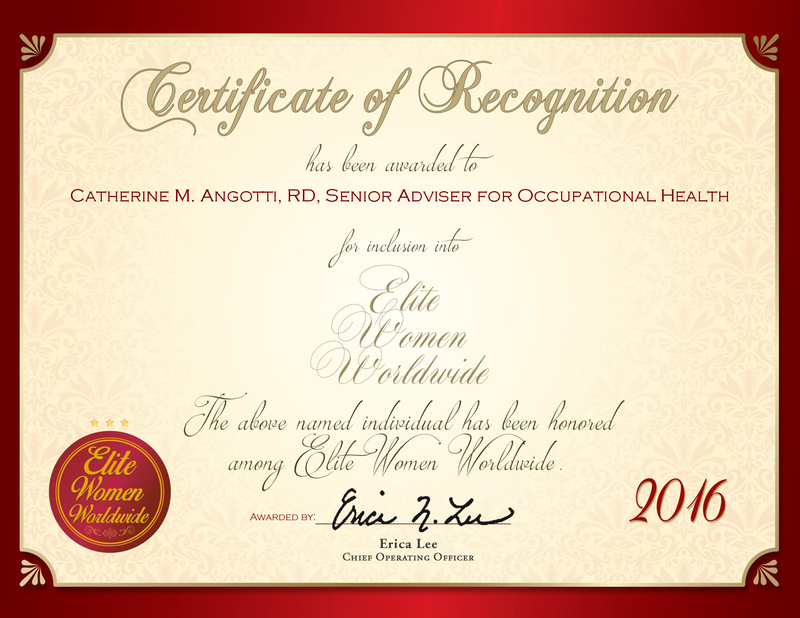 Sainte-Julie, QC, Canada, July 15, 2016, Geneviève Carle, President of CGC Services, has been recognized by Elite Women Worldwide, for dedication, achievement and leadership in strategic consulting. Kuils River, South Africa, July 7, 2016, Wanda Swart, Managing Director at MarketProbe, has been recognized by Elite Women Worldwide, for dedication, achievement and leadership in marketing consultancy. 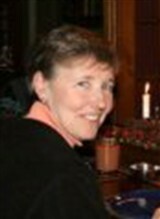 Ms. Swart is an internationally-known marketing consultant with nearly 30 years of industry experience. Serving her clients with thorough research and statistical and cost analysis, she ensures their business needs are met and surpassed. In addition, she manages projects, oversees sales and marketing, writes business strategies, leads and motivates employees and guarantees plans are fulfilled. Her main goals at MarketProbe include branding and advertising strategies for companies while maintaining the company’s notable brand of cordial customer relations. Sparks, NV, January 29, 2016, Diana E. Hoffman, President of Management Consulting, Singer at Diana Hoffman Sings and Professor at University of Nevada at Reno, has been recognized by Elite Women Worldwide for dedication, achievement and leadership in consulting, entertainment and higher education. 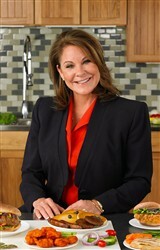 Atlanta, Georgia, January 5, 2016, Lenna Castagna, President of Fit Foodz, has been recognized by Elite Women Worldwide, for dedication, achievement and leadership in the health-conscious food industry. Ms. Castagna’s achievements have been largely driven by her intuitive business tactics that aid in successfully developing her business. For more than 32 years, Ms. Castagna has worked with various companies, honing her abilities and strengths until opening Fit Foodz 15 years ago. The company produces chicken products and meals that are low-sodium, lower in fact, gluten-free, additive-free and contain no trans fats. As president, Ms. Castagna is tasked with growing the company and all of the components involved, including: advertising, training staff, administration, financial planning, negotiating with clients, product development and more. Ra’anana, Israel, December 24, 2015, Josiane Rosenbaum, Vice President, Group Logistic & SCM of Keter Plastic LTD, has been recognized by Elite Women Worldwide, for dedication, achievement and leadership in the household consumer manufacturing industry. Distinguished for a career spanning more than three and a half decades, Ms. Rosenbaum has parlayed this experience since becoming the vice president of logistic and SCM of Keter Plastic LTD in 1988. As a company providing products internationally, Ms. Rosenbaum oversees all customer services and deliveries for both regional and abroad. She played a critical role in growing the company from an $18 million to $1 billion establishment. In addition, she oversees all incoming orders into plants, plans business strategies, handles compliance and trains staff to uphold the reputable standards of the company. Toronto, Canada, December 14, 2015, Marguerite Thompson-O’Neal, MA, CHRL, Vice President of Human Resources at Purdue Pharma Canada, has been recognized by Elite Women Worldwide, for dedication, achievement and leadership in company organizational development. Distinguished for nearly four decades of professionalism, Ms. Thompson-O’Neal has parlayed this experience to her current role for the past five years. She has guided leadership development, coaching, strategy, performance, and more for Purdue Pharma Canada, and has helped build a high-performance culture. She started her career as a general manager at a small engineering company but found her calling whenever she handled a human resources task. From there, she gravitated to the industry and pursued it in educational endeavors. Arnprior, Ontario, Canada, September 28, 2015, Anne S. Graham, President of Syncworks Consulting, has been recognized by Elite Women Worldwide, for dedication, achievement and leadership in human resources. Ms. Graham has 32 years of professional experience, having recently become the president of Syncworks Consulting. Throughout her career, she has set herself apart through her work in human resources, as well as her talents in organizational development, talent management, performance management, strategic planning and change management. 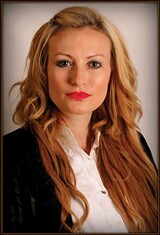 Each day, she provides expertise and consulting services to executives, executive teams and HR professionals.